I finished up this sweater this morning. 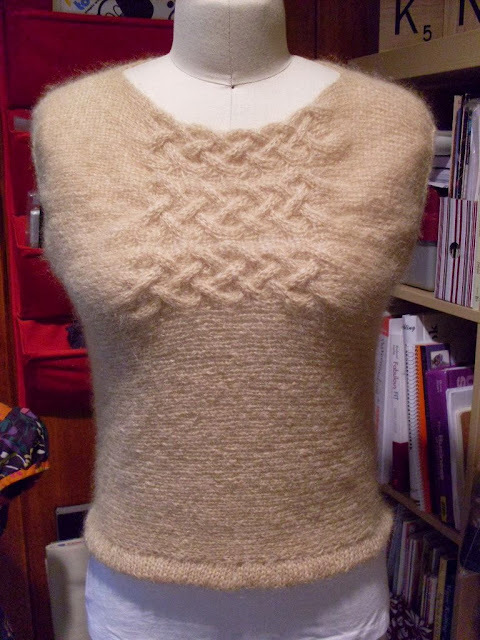 I sewed the bottom band in place and then steamed blocked the entire sweater. 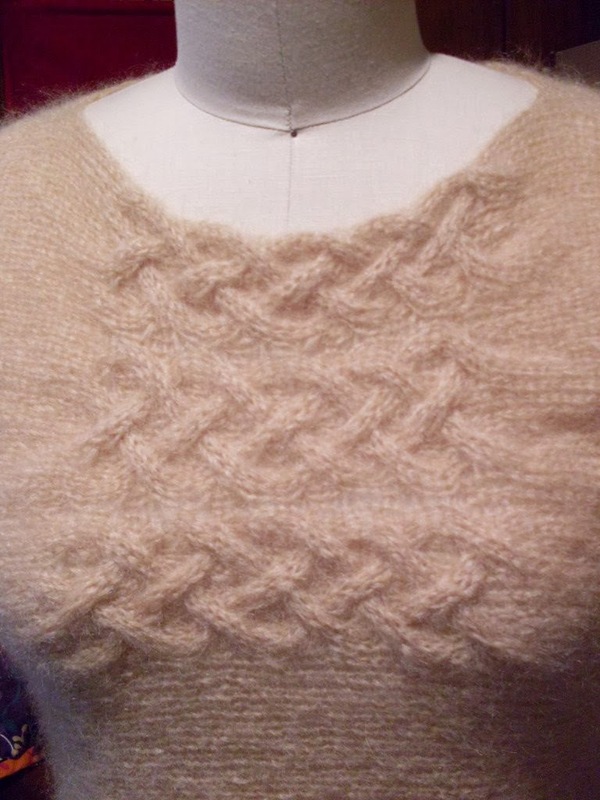 I love it when sweaters are knit crossways. It's unexpected and makes the sweater a little more unique. This was a quick knit and only took three skeins of yarn. Lovely!!! What a cool pattern, I love how the sideways smocking creates bust dart effects. You chose the perfect yarn for this and did a beautiful job.